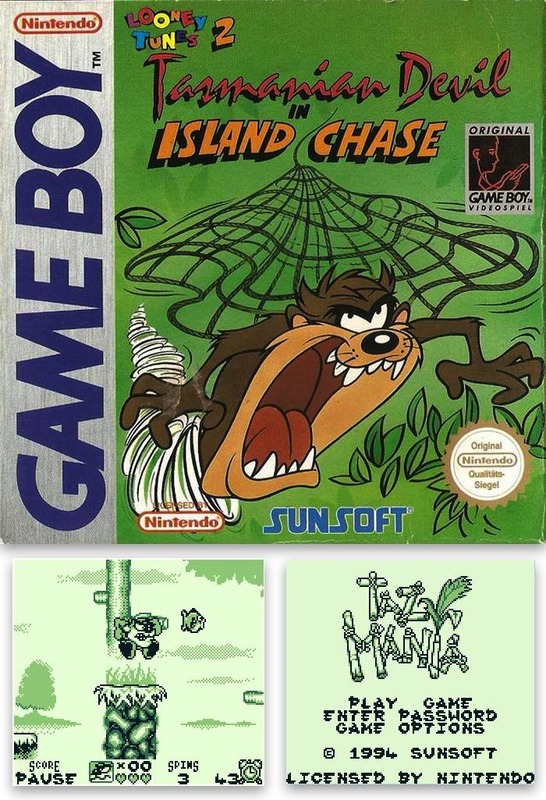 Taz-Mania was created by PAL Developments in Sheffield, largely by the same team that worked on Speedy Gonzales for the Game Boy. It was the second game I ever worked on (in 1993) but the first game for which I provided most of the graphics. Of course, everything was pixel based back then – the graphics were created in DPaint and the mapping was done using the in-house mapping software. I remember this game was quite a tough one to do, as there was a lot of work invoved in a fairly tight time-frame. I also did most of the sprites for the game, which I guess were passable (at the time). The main character and the larger boss sprites were handled by our sprite-supremo Wayne Dalton. Which is a good job really, as my original Taz sprite looked like Nookie Bear. The game was designed and programmed by Nigel Speight and released in 1994.